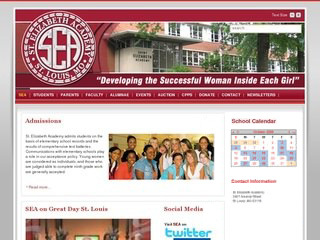 Silver Scope Web design specializes in high school website design. The high school websites we design offer a variety of useful options that should be included in a high school website. High school web design is a growing field today as high schools take advantage of new technologies in their educational methods. Many high schools are incorporating new teaching techniques through the use of their high school web site. This is why it is so important to select a knowledgeable high school web design company. Silver Scope Web Design is a skilled web design company with the targeted knowledge to develop excellent easy to use websites for high schools. Our websites for high schools are designed to allow teachers and other school staff to easily navigate the completed website. Our high school web design focuses on creating high school websites that allow teachers and faculty to post important news and information to students. One key element of high school web design is the calendar feature. Silver Scope Web Design includes a calendar feature on our high school websites. This feature allows faculty to update the high school calendar on the website to include the most up-to-date information. Another important element of high school web design is the ability for the staff to update the content of the site. For example, our high school website development software allows high school staff to update news and events sections of the website easily. In addition, your staff can post student announcements to the high school website daily so students can stay up to date and informed. We realize that for private high schools, alumni donations are a very important part of revenue for your high school. This is why our high school web design team will create a special section of your high school website that is devoted to alumni. This high school alumni section can include information on upcoming high school fundraisers, allow alumni to purchase high school merchandise, and provide information for donating to your high school. Our high school website development team will also allow you attract prospective students to your high school. We allow you to develop a section of your high school website that is targeted to perspective students. The prospective student section of web sites for high schools allows you to include course information, your school mission, and high school extracurricular activities. To see a sample of our website designs for high schools, please contact us for a free website design quote and more information. We look forward to working with you to design your high school website. on our high school web design services.